But to tell you the truth, it's way too complicated. Think about it this way, Clipper's programming rules are so complex when someone tags their card, it needs to know if the person rode the same agency recently (e-transfer), rode a partner transit agency (inter agency e-transfer), has a valid pass, has a ride ticket book, or just has e-cash. 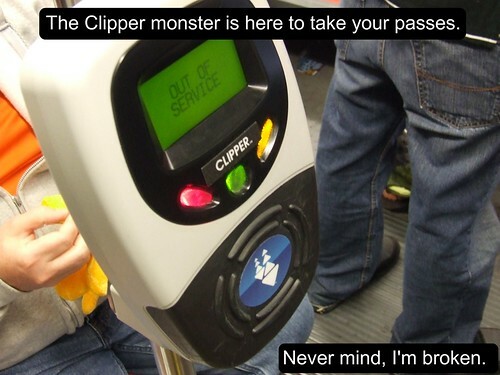 Clipper had to grandfather all the old rules on the books for decades and now we're paying the price. Clipper's plan for the smaller agencies (5% of all Bay Area transit ridership) will be to simplify the rules because they've admitted in writing that they made a big fat mistake with grandfathering the old rules and resulted in taking too many years to establish Clipper on all the major agencies. 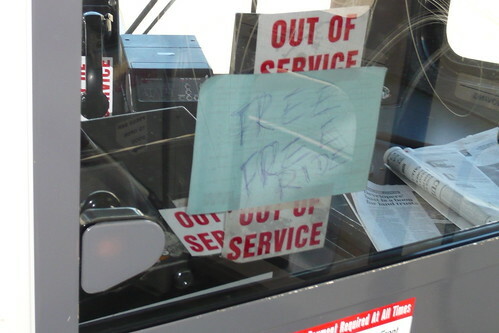 Transfers within a same agency: Muni is 90 minutes with unlimited transfers. AC Transit is 25 cent fee upon boarding second bus, must be within 90 minutes of boarding first bus, and only one transfer ride allowed as third ride would be full fare. Golden Gate Transit/Ferry, automatic calculation upon tag-on and tag-off. Samtrans and VTA requires a day pass to be purchased. All other agencies: No transfer policy. Passes: Muni is monthly with 3-day grace period and various types to also cover local BART service. AC Transit is 31 day pass. Caltrain is monthly pass with two zones or more gives free rides on Samtrans and VTA. VTA and Samtrans has monthly pass with no grace period. Some agencies don't offer passes (e.g. BART and Golden Gate) doesn't offer passes. The miracle solution would just be one fare can get you everywhere and all transit agencies are combined into one agency, but that's a far fetched dream, yet, would be easy to run Clipper. E-cash payment of fares: Stays the same. Ride books/10-Rides/8-Rides/High Value Discount Tickets: Eliminated in favor of a across the board discount for paying in e-cash. Transfers within same agency: Passengers get e-transfer valid for 90 minutes for no fee and good for as many transfers within the window of time. Not necessary on BART and Caltrain because transferring is just waiting on same train platform/station. Passes: No pre-purchasing of passes needed, all passengers pays rides with e-cash and "earns" their pass when reaching a certain e-cash threshold within that monthly period (a.k.a. pass accumulator). Inter-agency transfers: Transferring to any neighbor agency is automatic 25 or 50 cent discount. Inter-agency passes (e.g. Caltrain 2+ zone monthly pass): Old agreements honored.